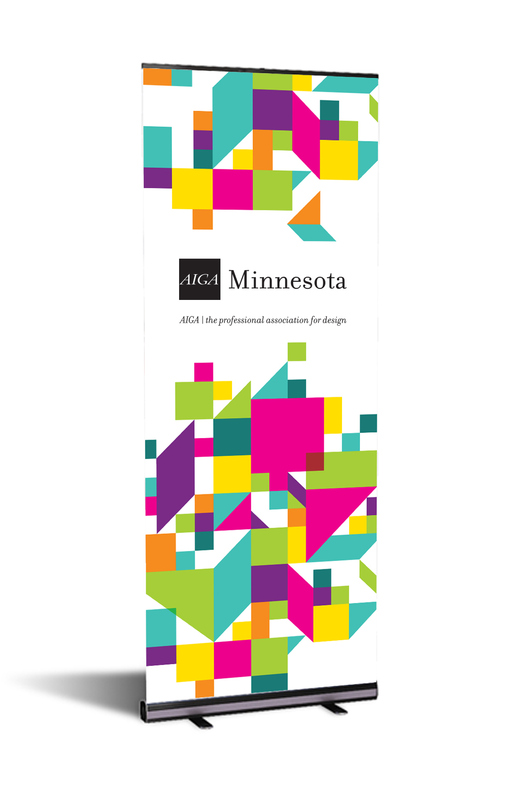 The Sustainable Design committee of AIGA Minnesota applied for a Program Improvement Grant to produce reusable signs and display materials that could be shared by all committees and events. Early in the process, the group surveyed chapter and committee leaders to discover their common needs and wants for informational and wayfinding signage. Next, the committee researched and designed sustainable, cost-effective options that could be used over and over again. Not only were these items more sustainable in the long run, they simplifed committee tasks, and helped to build brand consistency and promote AIGA Minnesota to new audiences. Retractable banner -- material made from 100% recycled soda bottles. Produced by Banner Creations, a local eco-conscious company for banner and textile printing solutions. Table runner -- material made from 100% recycled fibers and plastics. Ability to use on any size table with any tablecloth. Sandwich board sign -- reversible chalkboard writing surfaces allows for changeable messaging on the fly. Screen-printed with logo. 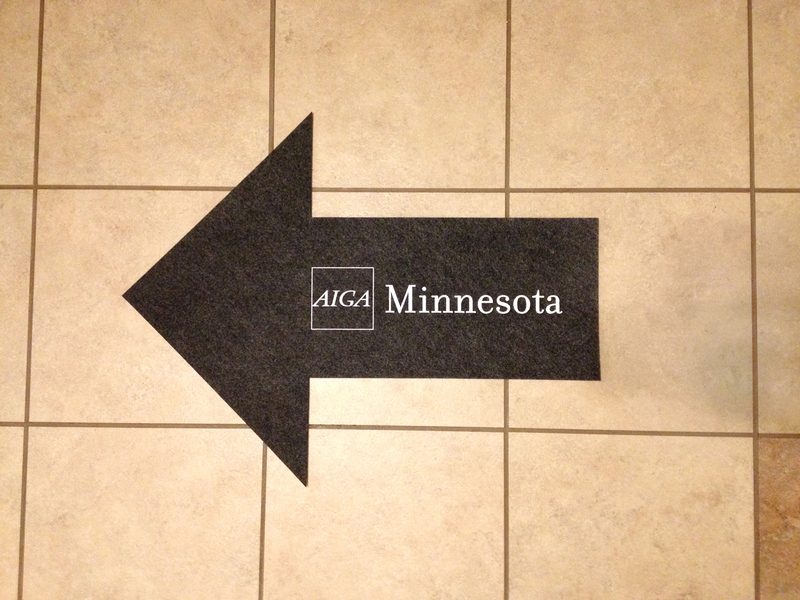 Way-finding arrows -- cut from carpet tiles and screen printed with the AIGA Minnesota logo. Adaptable for any venue for easy wayfinding. Made from 100% non-toxic plastics and 85% recycled materials. 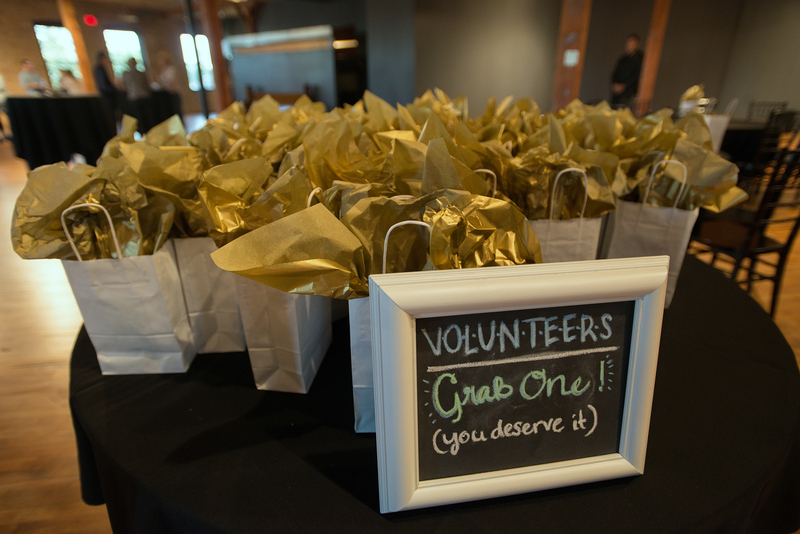 Chalkboard frames -- can be used for everything from check-in tables to food stations. Made from repurposed and painted picture frames.